See more objects with the color sienna saddlebrown grey rosybrown darkslategrey or see all the colors for this object. This is a Textile. It is dated 18th century and we acquired it in 1973. 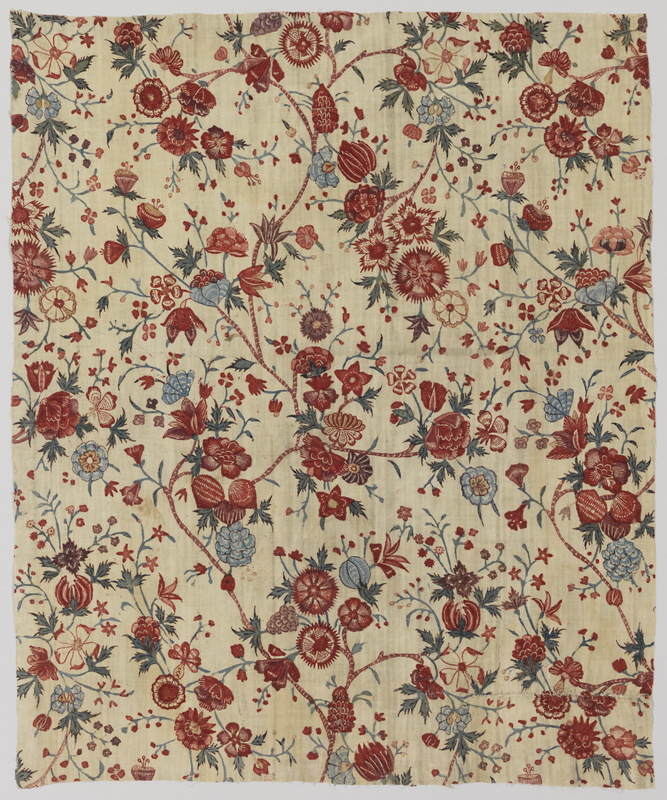 Its medium is cotton and its technique is mordants for black, reds and purples applied by pen and brush; madder dyed; blue applied over resist by brush; yellow applied by brush; chintz on plain weave. It is a part of the Textiles department. This object was donated by Josephine Howell and catalogued by Gillian Moss. It is credited Gift of Josephine Howell.